This year we celebrated Thanksgiving by hosting a lunch for all of our embassy colleagues. In a departure from most events hosted at the Residence, this was a more informal affair. 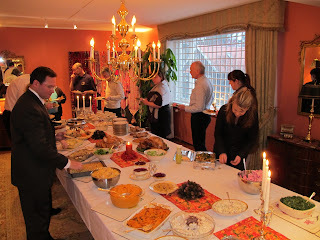 My American and Icelandic colleagues made this an event that truly honored the sharing spirit of Thanksgiving and the holiday season by bringing some of their favorite dishes to share with everyone else. We all sat happily enjoying each other’s company and having a rather fulsome taste of traditional American cuisine mixed with some wonderful Icelandic dishes. It was a lot of fun and a moment to reflect about how lucky we were to share that moment together. This weekend gave us the opportunity to attend two wonderful concerts. On Saturday we heard the Reykjavik Opera Choir, under the direction of Garðar Cortes, perform “The Mass” by Robert Sund. The solo performances were given by soprano Karin Björg Torbjörnsdóttir and tenor Aron Axel Cortes. It was an uplifting performance by all. On Sunday we attended a concert given by tenor Þórarinn Jóhannes Ólafsson and accompanied by Krystyna Cortes. We were particularly interested in Þórarinn´s performance because he sang the Icelandic national anthem at our Independence Day celebration on July 4th. Þórarinn showed his range by performing several Icelandic and traditional opera songs (he even sang one piece from “The Godfather”). We were grateful for his willingness to return to the stage several times to share his artistry. It was quite an honor to meet Dr. Bonnie Dunbar, an astronaut with the U.S. space program. She came to Iceland to share her compelling life story growing up in rural Washington State and her journey that took her to space five times with the Shuttle Space program. She shared her experiences with a mesmerized audience at the University of Iceland. Dr. Dunbar’s story had a very interesting Icelandic twist. While she was in high school, her school hosted an Icelandic exchange student named Árni Sigurðsson. Árni and Bonnie remained lifelong friends; she became an astronaut and he became a pilot for Icelandair. This visit was made possible by Icelandair, the University of Iceland, and the Icelandic-American Society – a wonderful group of Icelanders dedicated to strengthening ties between Iceland and the U.S. through educational exchanges. A few days ago, I visited the Carbon Recycling International (CRI) plant near Grindavík. The plant, designed in the U.S. and constructed with American materials, is the first of its kind in the world. A CRI official explained that the plant captures, cleans, and transforms carbon dioxide emissions into methanol—a clean burning fuel. 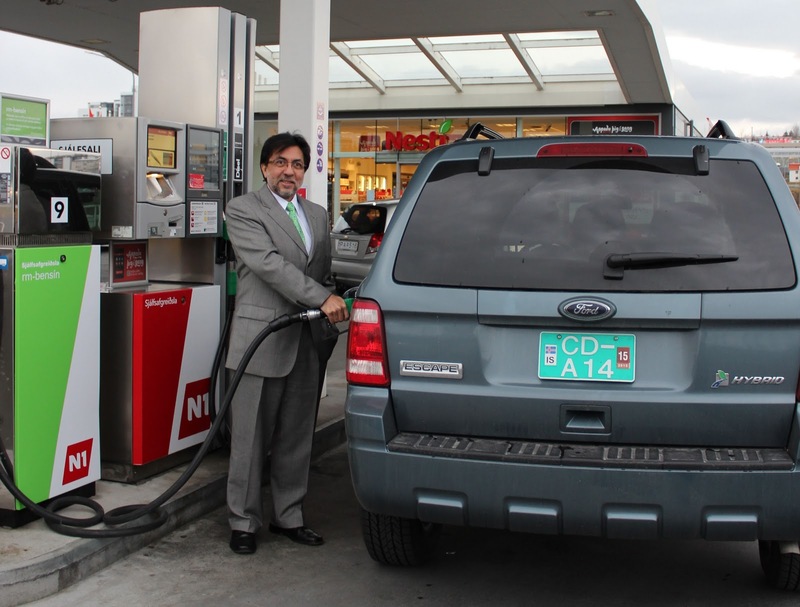 In fact, local fuel distributor N1 is already selling gasoline mixed with ethanol produced by the plant. I filled up a U.S. Embassy hybrid vehicle with this fuel blend today. The CRI plant moves Iceland ever closer to achieving 100% reliance on renewable energy—it is already 80% there. 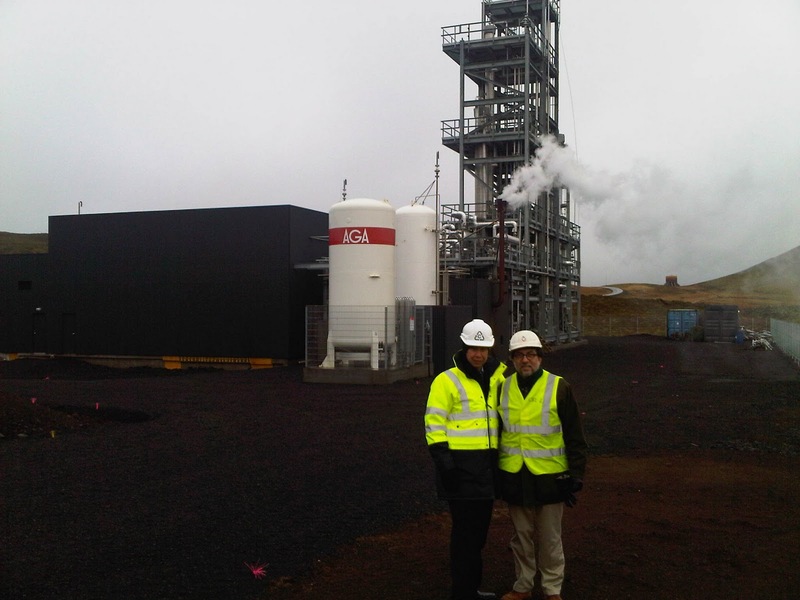 CRI hopes to build three more plants in Iceland and eventually export methanol to Europe. CRI is also interested in expanding its operations in the U.S. and is working with several top research institutions there. 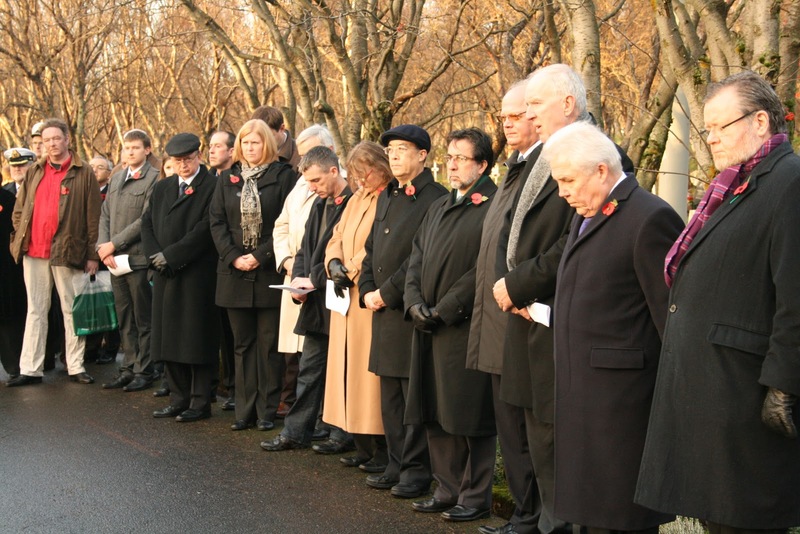 This past Sunday, a small group of Icelanders and colleagues from other Embassies attended a ceremony at the Fossvogur Cemetery organized by the British Embassy. We gathered to honor those who gave their lives for their countries. British, Canadian, Russian, Norwegian, German, Australian, and American representatives laid wreaths on the monuments that honor the memory of those who made the ultimate sacrifice. 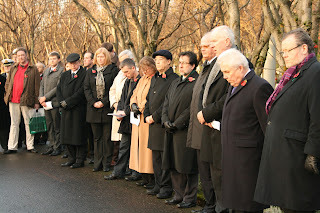 We were honored to have the Icelandic Foreign Minister, as well as the Chief of Protocol from the Ministry of Foreign Affairs, join us as we also paid tribute to those Icelandic sailors who lost their lives in periods of war. 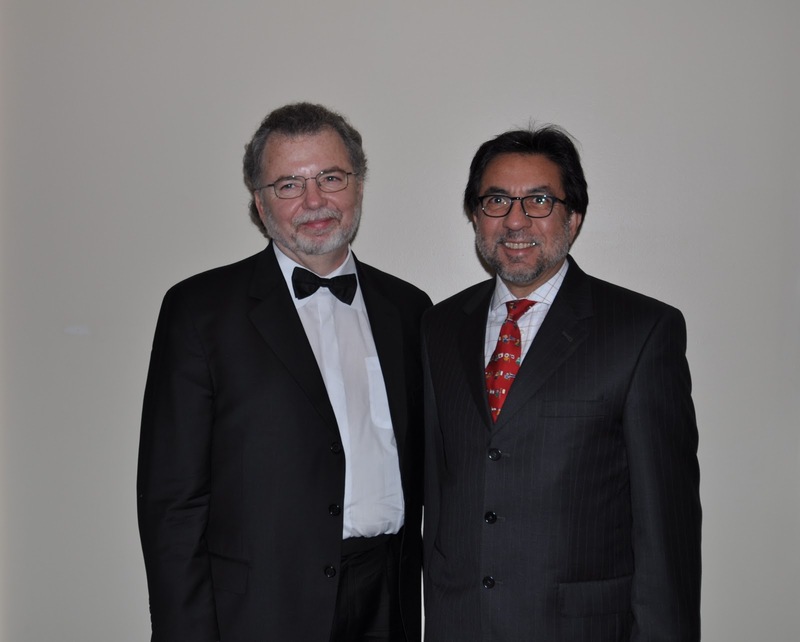 During a memorable evening at the Kópavogur Theater, Mary and I had the pleasure of listening to American Master Guitarist Manuel Barrueco. His interpretations were at once moving and technically superb; the Icelandic public gave him a standing ovation. He played pieces from Bach’s Cello Concertos, and music from Piazzolla, Albeniz, and Tarrega. Barrueco teaches at the Peabody Conservatory of Music at John Hopkins University. 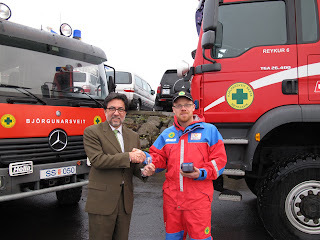 I was looking forward to another opportunity to support the Icelandic Search and Rescue Teams—a unique and highly effective model of community-based model of volunteer service. The tradition of American cooperation with Icelandic Search and Rescue teams goes back decades and it included many joint operations and training with U.S. armed forces. We look forward to continuing and expanding our relations with these groups. This weekend I had the pleasure of attending a lecture by Prof. Henry Petroski on the paradoxical relationship between success and failure in engineering. Prof. Petroski is the Aleksandar S. Vesic Professor of Civil Engineering and Professor of History at Duke University. His lecture is part of a series to celebrate the University of Iceland’s centennial. Professor Petroski’s point is very simple and paradoxical: success in design is achieved by anticipating failure; in other words, if we want a design to succeed we need to anticipate how it might fail so that the design includes features that prevent such potential failures. On the other hand, if we adopt a successful design, chances are that it will fail somewhere down the line. If readers are intrigued by this notion, I would encourage them to watch the lecture onhttp://www.hi.is/myndbond/dr_henry_petroski%C2%B4s_lecture. It is quite energizing to see how the interaction between two great universities (Háskóla Íslands and Duke) can illuminate our lives.